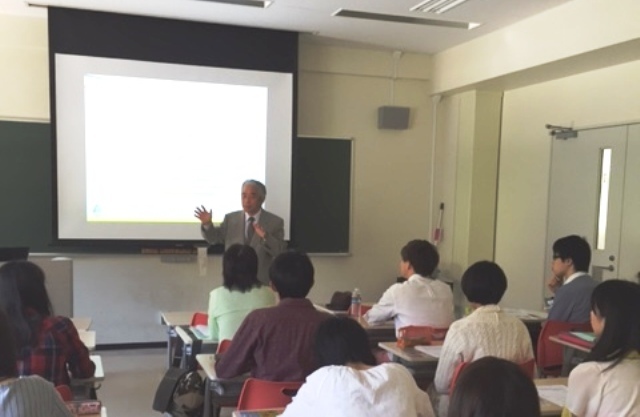 Mr. Masataka Fujita, Secretary General of the AJC gave a lecture at the Saitama University on June 2, 2016, in which around 30 students participated. It was a lecture organized in response to the request by the University; and follows the one conducted by Mr. Virak Khuon, Assistant Director of the Trade and Investment Division of the AJC, on May 19, 2016. In the lecture titled “Value Added Trade and ASEAN-Japan Economic Relationship”, SG Fujita elaborated on the ASEAN economy from the perspective of the Global Value Chains (GVC). Also, the students took the opportunity to make queries to SG Fujita, which included the reasons why Singapore is different from other ASEAN Member States in terms of its relations of GVC and GDP as well as FDI; how the ASEAN Member States can avert the situation of the Middle Income Trap; and what kind of efforts they have made for their social development, among others. 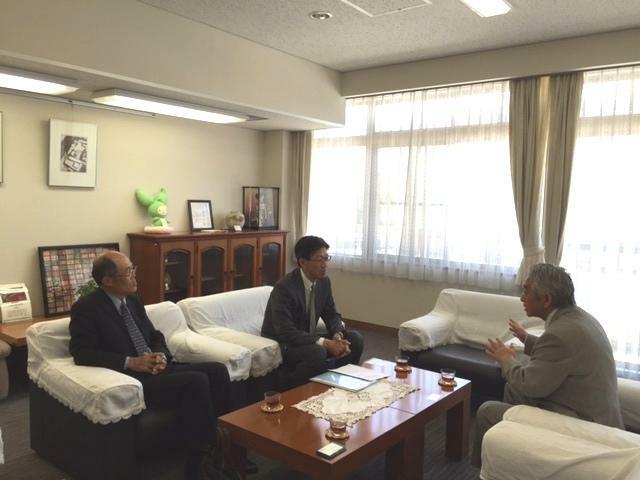 After the lecture, SG Fujita called on Dr. Hiroki Yamaguchi, President of the University. Dr. Yamaguchi expressed his deep appreciation for the Centre’s cooperation in giving lectures in the past few years, referring to the significance of encounters that are emerging from invited lecturers from outside the campus for students. In addition, he briefed SG Fujita on the university’s special educational program called “Global Youth”, that has been implemented in an effort to develop human resources who can contribute to the international society.